If you are looking for a download link for Bluestacks offline installer, then you are at the right place as here we are going to provide you with the direct download links for Windows and Mac. Bluestacks is one of the best programs and using this software you can easily run android apps for pc even without owning an Android smartphone. There are quite a few ways using which you can run Android apps and games on your computer. The first way is that you can install Android OS for PC and then run the apps, or if you are not comfortable with installing Android on your computer, then you can use Bluestacks app player to download the apps and games, install it and play it on your PC without any difficulties. So today I am going to share with you a way to download Bluestacks Offline installer for both Windows 7,8,Vista and also for Mac computers and use the program to run different apps on your PC. 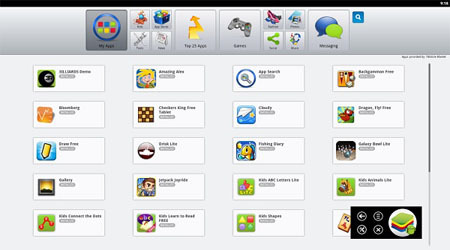 The program, that you know as Bluestacks App player, is a simple application that you can install on your computer and with the use of it you can play Android apps on your computer. Basically saying, Bluestacks is an Android emulator with which you will be able to run android apps on your PC and even install and play Android games. If you have Bluestacks App player on your computer, you don’t need to install Android OS on your computer to play the apps and games. Now with the help of this Android emulator, you will be able to play all the apps and games like Whatsapp, Temple Run, Subway Surfers and many other popular games on your computer. That’s really great isn’t it and if you don’t own an Android smartphone, you really need this program installed on your PC. So let’s see how you can download Bluestacks Offline installer on your computer. Why You Need Bluestacks Offline Installer? You can download Bluestacks from their official website, which is around 9MB in size. But when you download it from there and install it on your computer, you will be asked for an Internet connection to proceed with the installation. So if you don’t have a working Internet connection on your PC, you won’t be able to install the program. To install Bluestacks through the online setup file, you will be required to download a lot of files from the Internet and that would require an Internet connection. Not everyone has a working Internet access on their PC, so that’s the reason you need Bluestacks offline installer so that you too can get the emulator on your PC. Bluestacks is one of the best programs that you should install on your computer, and the best thing about it is that it is available for free right now and for both the platforms, Windows 7/8/Vista and even Mac OS. You can download and install any Android apps on your computer with it. 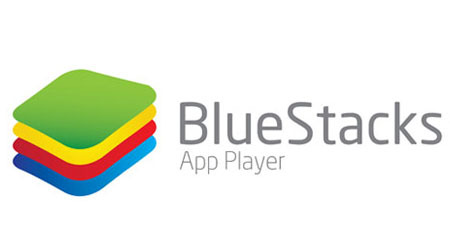 Connect Google account with Bluestacks or use it without connecting any account. So now that you know the features of the app player, let’s get to business and see how you can download Bluestacks Offline installer for Windows 7,8,Vista and Mac. Download Bluestacks Offline Installer Now! To download the offline installer on your computer, just click on the links below and the download will start automatically. The software installation is simple and you will not find any difficulty installing it. It is just like any other software installation for your computer. So guys, this is the way to download Bluestacks Offline installer on your computer. If you liked the article, then do share it with your friends and let them know about it too. Hit the Like, Tweet and +1 button to share the post with your friends and let them download Bluestacks Offline installer on their computers!